CreditDonkey new infographic illustrates how a thorough spring cleaning can restore order to finances, helping uncover “lost” financial documents and overlooked tax deductions. Spring is the traditional season for scrubbing walls and sweeping floors, but it’s also a great time to spruce up the financial house, unearthing misplaced receipts and overlooked tax deductions. To illustrate, CreditDonkey, a credit card comparison and education website published a new infographic on the Personal and Financial Benefits to Spring Cleaning. Review your credit report. You can get a free copy of your credit report at AnnualCreditReport.com. Organize financial documents, keeping all records and tax documents for the past six years. Scan the originals into your computer, so you don’t have to manage big stacks of paper. Review your budget and insurance policies. Spring is a great time to update your homeowner’s insurance inventory as well. Make a plan to pay off any outstanding holiday debt – if you haven’t already. De-clutter your house and donate things you don’t need or use. Get receipts for these donations as supporting evidence for tax deductions. 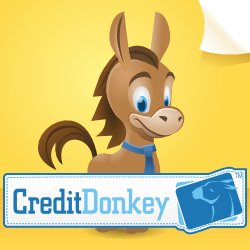 CreditDonkey.com publishes credit card deals, reviews and tips to help families make informed decisions about credit.